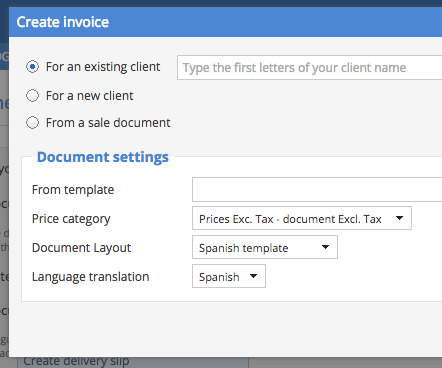 When you create a new document, you can easily choose your desired language. Note: If you assigned a language to a given layout, this language is automatically used. How do I create documents in other languages?